On this page we've created and compiled some useful resources for your eye health and safety. Also take a look at our links to mobile apps related to the eyes and vision. We'll be adding more from time to time, so please visit again. 7 Things You're Doing At Your Desk That Will Give You Eye Strain. This infographic can help you become more aware of your body during computer work and how you should adjust your workstation to minimize your risk of computer vision problems. Also includes the code for you to embed and share on your own blog or website. 8 Tips for Healthy Eyes. This fun infographic provides great ideas for you and your family, for keeping your eye health at its peak. Also includes the code for you to embed and share on your own blog or website. 10 Health Problems Your Eyes Could Be Showing Signs Of. Did you know that your eyes can give clues to your overall health? Download this infographic to find out what ten health problems your eyes could be showing signs of. Also includes the code for you to embed and share on your own blog or website. A Look At Eye Exams. This infographic includes how often to get an eye exam, what to expect and common myths about eye exams! Also includes the code for you to embed and share on your own blog or website. Allergy Capitals 2016. Here's a list of the top 100 worst places in the United States for spring allergies. Check to see if your city or region made the list! Produced by the Asthma and Allergy Foundation of America. More about eye allergies. Amsler Grid. Download and print this chart you can use to test your vision for damage caused by retinal diseases. More about Amsler grid testing. Contact Lenses Are Like Underwear. It may sound funny and a little bit gross, but this infographic from the CDC explains how contact lenses are similar to underwear. Download and share this infographic to promote proper contact lens care and healthy eyes. Digital Device Usage and Your Eyes Report. This report by CooperVision highlights global research on consumer use of digital devices in relation to eye health. The possible effects of digital device use on the eyes and how people cope with the discomfort are also reported. More about digital eye strain. Eye Health Checklist. This handy checklist could help you and your family improve your vision and eye health this year. Also, read the expanded checklist for more information. Eye Safety At-a-Glance. This guide to eye safety at work is great for employers and employees alike. Produced by The Vision Council with the American Society of Safety Engineers. More about eye safety. Eye Safety Tips. This infographic includes statistics on eye safety at home, at work and during sports, with important tips. Also includes the code for you to embed and share on your own blog or website. Fireworks Annual Report. Released in 2018, this report from the Consumer Products Safety Commission covers fireworks-related eye injuries and accidents that produced emergency room visits. Read the full report for 2017 . Also see the fireworks safety information in our "Preventing Eye Injuries" article. Healthy Vision Month Fact Sheet. May is the National Eye Institute's Healthy Vision Month. This fact sheet features five steps you can take to celebrate Healthy Vision Month and make eye health a priority. Also learn interesting statistics on eye exams and sight-threatening conditions. How Smoking Harms Your Vision. Our one-page info sheet describes how smoking is associated with many eye diseases and conditions and can even lead to blindness. Great handout for doctors and teachers, too. More about smoking and its effect on vision. How To Stop Eye Twitching. This infographic explains what might be causing that annoying eye twitch and how to get rid of it for good! Also get copy-and-paste code for sharing the infographic on your own website or blog. Living with Low Vision. The National Eye Institute/National Institutes of Health produced this large-print booklet for visually impaired people and their caregivers to learn about resources they can use to live life independently. A DVD is available, too. It contains videos featuring people with low vision. One Pair, Take Care. The CDC reminds contact lens wearers that you only have one pair of eyes, so take care of them! This infographic highlights tips to prevent contact lens-related eye infections. When it comes to wearing contacts, healthy habits mean healthy eyes. Our Eyes Are Important. This infographic from the National Eye Institute highlights several reasons why we should take care of our eyes and includes shocking projections. The infographic is also available in Spanish . Panopreter for Low Vision. Purchase and download Panopreter software to get almost any text on your computer read aloud in a natural voice. The program works with Microsoft Office and also allows you to save text readings so that you can listen to them later. Parents: Are Your Child's Eyes and Learning Ability At Risk? A survey conducted by Think About Your Eyes shows that many American parents don't know about the importance of eye exams. Read interesting survey results and get tips to help keep your child's eyes healthy in this new infographic. Pink Eye Facts for Parents & Teachers. A one-page guide in English or Spanish offering tips for preventing the spread of pink eye. Makes a great handout for teachers, school nurses and parents. More about pink eye. Ski Goggles: Features To Look For. Here's a handy ski goggle features checklist that you can print and take with you when you buy your next pair. Also read our "12 Tips for Buying Ski Goggles" for more complete information. Spare Your Sight: Using Shades for Protection and Style. This PDF booklet by The Vision Council includes information on how UV light harms eye health and vision, myths vs. facts about sunglasses, list of U.S. cities with high UV risk, lens tint info, and an infographic showing results from a survey on UV awareness. More about UV light. Sunglasses as a Healthy Necessity. Are you celebrating National Sunglasses Day on June 27th? In honor of the day, the Vision Council produced this infographic on why sunglasses are so important and why we need to protect our eyes — and our children's eyes — from sun exposure. We hope it will inspire you to wear sunglasses whenever you're outdoors! Vision Loss in America: Aging and Low Vision. This report by The Vision Council discusses the impact of vision loss on people, including how it can lead to falls, isolation, depression and poor quality of life. Low vision evaluations, treatments and magnifying devices are also explained. More about low vision. Vision Plans - Benefits Comparison Worksheet. This handy chart helps you compare vision plans to decide which is best for you. More about choosing a vision insurance plan. Vision Plans - Price Comparison Worksheet. Here's another chart to use when comparing vision plans, this time from a price point of view. Vision Problems in the U.S. 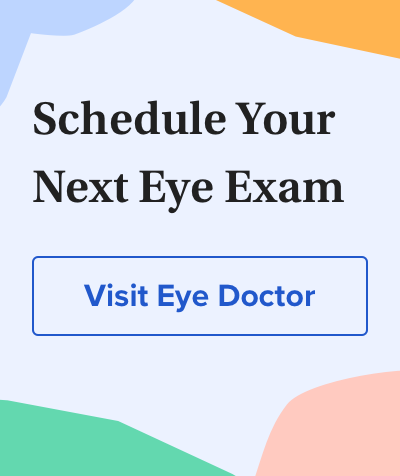 The National Eye Institute and Prevent Blindness America have released alarming new statistics on cataracts, glaucoma, myopia, macular degeneration and other vision problems. Or use the searchable database for customized reports. What Is Blue Light? The Vision Council released results of its annual survey on digital eye strain in America, with information on one of the main culprits, blue light. The survey showed that most Americans don't discuss their digital device use with their eye doctor, though they should, and that most of our kids are viewing device screens more than two hours a day. More about computer eye strain. What Teens and Parents Need To Know About Contact Lenses. This guide answers questions of parents who are considering contact lenses for their kids. What You Should Know If Your Child Is Nearsighted. This shareable infographic shows why some kids develop myopia, why it's a big problem and how you can help stop it. Also get copy-and-paste code for sharing the infographic on your own website or blog. Why Smoking Is Bad For Your Eyes: Infographic. This infographic on smoking explains the harmful effects on eyes of both smokers and those exposed to second-hand smoke. Please share with the people you care about! World Report on Disability. This report provides insight into low vision, blindness and other physical and mental disabilities. It is full of interesting facts and recommendations for policy reforms to provide disabled people everywhere with the necessities for a dignified and fulfilling life.